"Did you already know that...?" 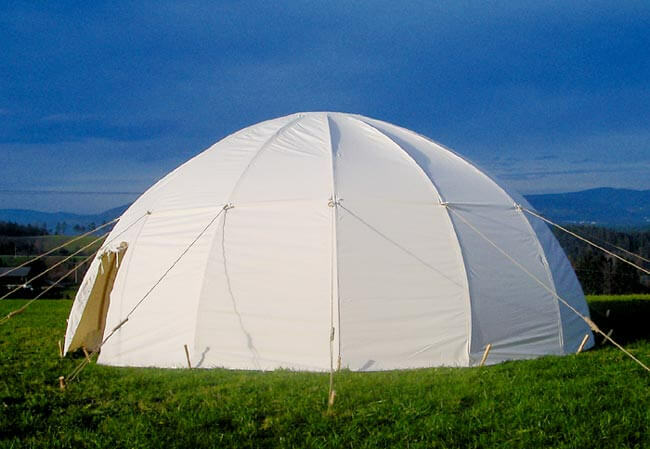 Would you like to see what your ideal tent looks like? Our unique COLOUR - EDITOR is here !!! 500cm; 600cm; 700cm; 800cm; 900cm. 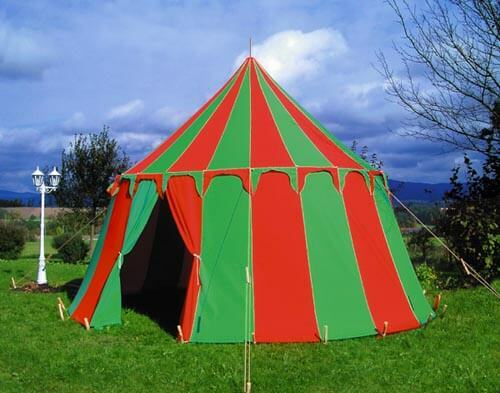 You can now have the tent you want with our wide selection of fabric patterns in the colour combination of your choice. As many historical illustrations show, patterned fabrics were the rule rather than the exception in tent design. The colour of your club or your own personal coat of arms can now be beautifully displayed. So give your tent that unmistakeable, personal touch. To design your own colour combination click on one of the patterns. 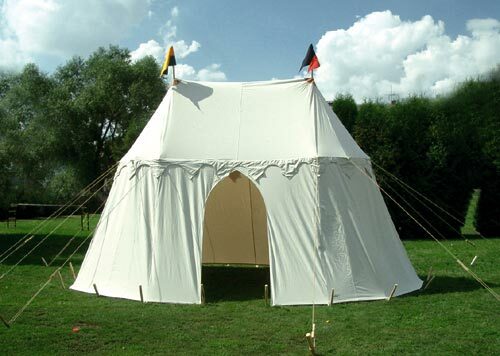 Many historical illustrations show oval, 2-pole tents were very popular. The latest model from our workshop is an extended spoke-ring design we've called Arthur. It can be supplied in any color variations. If you like it simple and inexpensive, try choosing from the excellent Famwest Norman range. A tent style that was around in almost all periods. Prices start from around £ 300. 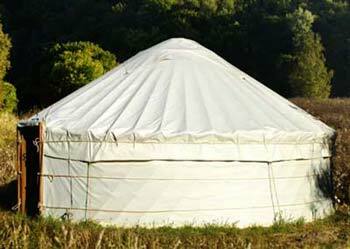 Recently we've been getting many requests for Mongolian yurts. 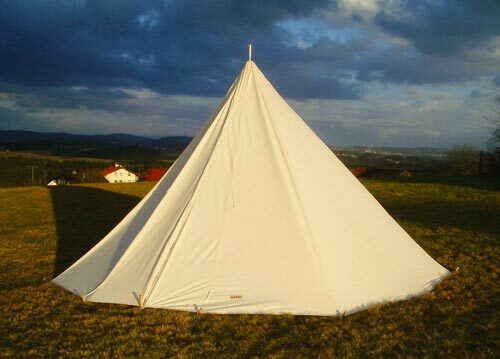 These tents are unwieldy, heavy and very expensive when made from traditional materials. FamWest come up with a real alternative that gives a fully authentic look at a more affordable price. The traditional spoke-wheel construction is probably one of the most authentic and well documented types of medieval tent. 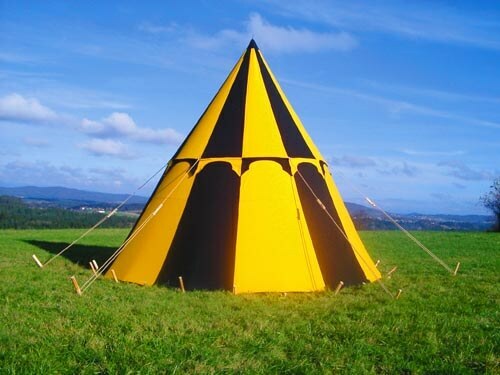 FamWest have reinvented the ring-tent! Be amazed at how roomy a tent can feel with no side poles and no spokes, just space!! !